Sometimes when you read a script you see the letters POV. These letters do not mean Pills Or Vodka, or Place Over Vera, or even Putting on Velvet. They stand for Point of View, and POV is an effective way to get the audience to identify with a protagonist. Take the Hitchcock film NORTH BY NORTHWEST – Cary Grant gets kidnapped, and he looks to left. What’s he looking at, we wonder? Hitchcock cuts to Grant’s POV of the door handle, then cuts back to Grant as he tries to escape. That middle shot of the door handle is POV, and it gives the audience a moment to be Cary Grant. Lee Daniels is an accomplished director, with movies like SHADOWBOXER, THE PAPERBOY, and PRECIOUS. His new film is THE BUTLER, starring Forest Whitaker and Oprah Winfrey. Whitaker plays a man who works as a White House butler from 1957 to 2009. This is based on a true story. I’ve just spent part of the week with Raymond McIntyre, the visual effect supervisor for THE BUTLER. The interiors were shot on a sound stage, with green screen backings showing through the windows. 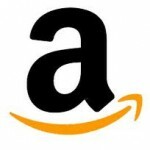 My job? Shoot the background plates that Ray will composite with the sound stage footage. 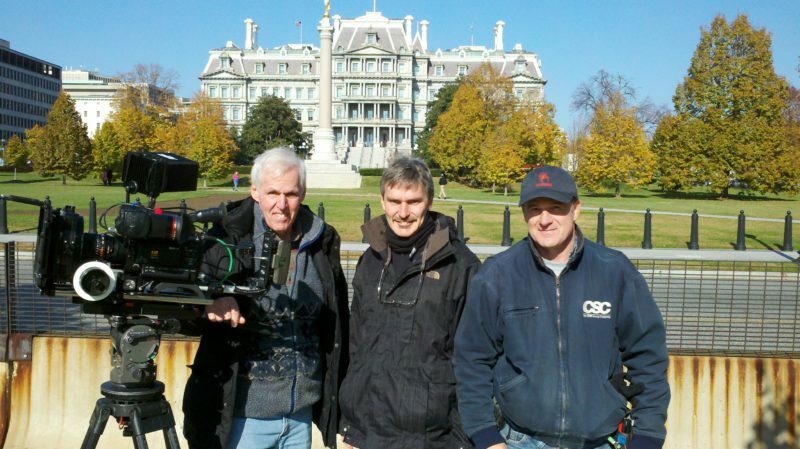 With VXF supervisor Ray McIntyre and AC Mike Krebs, shooting plates for "The Butler." Good enough, but Ray had another idea. “It’d be good to get a POV shot of Forest approaching the White House,” he told me, pulling out his iPad to show me what they had edited so far. Sure enough, you never really see the White House, as they were shooting these scenes outdoors in New Orleans. So, rather than airlift the White House down south (which a number of Republicans would like to do), Ray asked me to do a hand-held walking shot, to cut in with what they had. 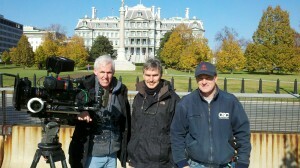 Trouble was, we had no permit to film by the White House (and we always film, we never shoot). So we’d have to “steal” the shot. We got the camera ready, then simply walked along Pennsylvania Avenue till we got near the front gate. I started rolling and we got a few images before an official told us we had to leave. Later I showed Ray what I had and while it was good, Ray felt the camera angle was too wide – the White House wasn’t big enough or close enough in frame. So we went back and did it again. It was much better the second time, and no one informed us that we couldn’t do what we had just done. Now the footage is in the edit room in New York, a tiny, infinitesimal part of the overall film Lee Daniels is making. When you see THE BUTLER (release date is November, 2013) you’ll probably not notice this shot – it’s only a few seconds. But for me it was magic. For those few seconds, I was Forest Whitaker, a young man approaching the White House for the very first time. 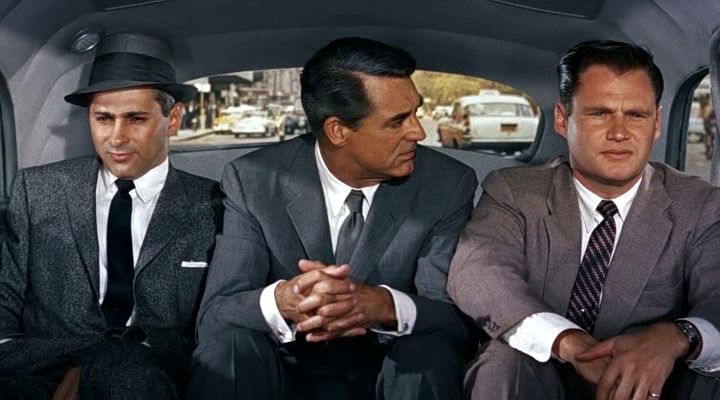 So now I’m wondering, what’s it like to be Cary Grant?